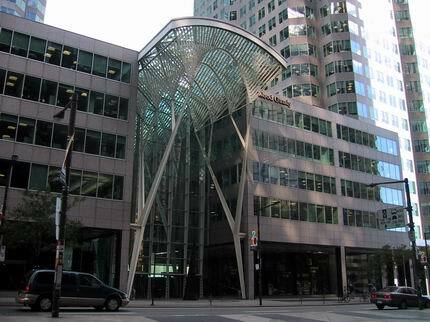 BCE Place is comprised of shops, restaurants, the old Bank of Montreal building which houses the Hockey Hall of Fame, office towers for financial, commercial and legal firms, and 11 heritage buildings. 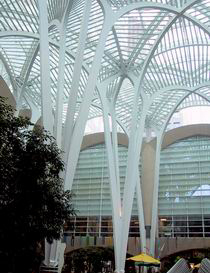 In order to meet the city public art requirements, an invited competition was held for the design of the Gallery and Heritage Square in 1987, the winner being Santiago Calatrava. The Galleria is five stories high and runs parallel along Front Street. The roof provides cover for the street Galleria and connects Bay Street to Heritage Square. The design is spacious and inviting, and was also recognized as a 'hall of light'. The structure is comprised of eight freestanding steel supports on either side of the Galleria. These supports branch out into parabolic shapes that are reminiscent of a forest canopy. As for the Heritage Square, there are 16 supports that branch out in a similar fashion to the ones in the Galleria. 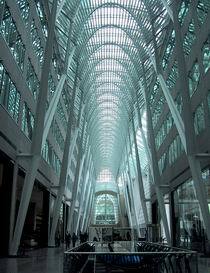 The Galleria and Heritage Square are located within BCE Place. The structure is contained by Yonge Street to the east, Wellington Street to the north, Bay Street to the west, and Front Street to the south. The main entrance of the Gallery faces Bay Street just north of Front Street. The Heritage Square entrance faces Yonge Street just north of Front Street, next to the Hockey Hall of Fame. The Galleria and Heritage Square are part of the underground "PATH" system and are open to the public. They provide access to surrounding office buildings, shops, restaurants, and the Hockey Hall of Fame. For more information please visit www.bceplace.com.